Jupiter OG Kush is an indica strain that will make you feel it in your eyes. 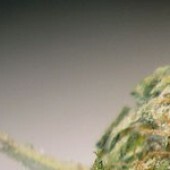 It features dark green buds and dark orange hairs, and provides a good body buzz. Great for pain relief. Blue Haze is a blended hybrid strain, coming from a cross between Blueberry and Super Silver Haze. The bud is frosty and fuzzy with a dusting of orange colored powder on top. The scent is earthy and dank with just a touch of menthol underneath. The taste is strong and earthy with a touch of the blueberry lingering afterward. 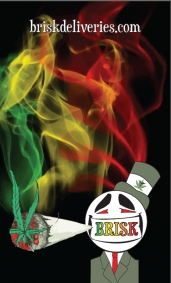 Blue Dragon is a indica/sativa strain that is a crossbreed of Sour Diesel and Blueberry. 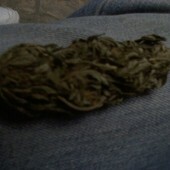 The bud gives you a euphoric, even body head high. It has a sweet aroma with a berry taste. Blue Dragon is a very heavy hitting medical marijuana strain. A variation of Cheese. One of the most influential input of the British growers into the global pot of cannabis genetics is the creation of Cheese. 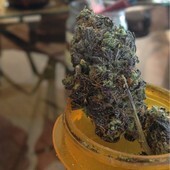 Stemming from the original Skunk, it was bred by the committed group of growers from London. The time they have spent on developing the strain resulted in the birth of probably the stinkiest skunk ever, hence the name - Cheese. Directly from the history books, the Strawberry Cough (Kyle Kushman) and Original Sour Diesel were joined to be able to attain the best from each strain. About 9 weeks flowering will provide you with a batch of extremely powerful buds loaded with juicy strawberry flavor, however keeping the hard impact and floatiness from the old-school Kush. If you live in the Bay Area, you've likely heard of Girl Scout Cookies. Whether it's from one of the songs by the famous San Francisco rapper, Berner or actually trying it yourself, Girl Scout Cookies is a can't-miss strain that will medicate you beyond your wildest dreams. A potent mix of an OG Kush x Durban Poison x Cherry Kush mother backcrossed with a prime-looking OG Kush father created possibly one of the best Northern California strains of all time. For those of you who are into the Bay Area rap scene, you%u2019ve likely already smoked some of this off-the-charts weed after hearing some of the songs by San Francisco rapper and collective owner, Berner. With Chocolope, DNA Genetics continues their project of creating tasty short-flowering sativas and reviving the classic features of old school Thai stick. The strain's father, Cannalope, is a sativa line backcrossed for fast finishing. DNA refined this feature still further, then crossed a Cannalope male with an Original Chocolate Thai female. Tasting is believing: the result retains the special flavors and effects of the OG Chocolate Thai, and lives up to the nickname Chocolope in flavor as well as genetics. It brings back a chocolate edge that was more common among good weed of the 1980s, mixed with the fruity sweetness of the Cannalope.